Let’s say your holiday is reaching the end, just a few days left and then… time to pack and head back home and show your friends and relatives pictures and videos of your beautiful holiday. What are you taking home with you? What funny, classic souvenir will find a place on your cupboard or wall, what canned food will you use as soon as you return just to remember a hint of the delicious meals you had here? Here are a few hints for you: 5 top souvenirs from Sicily you should take home to remember the very best of this wonderful island! 1) A bottle of wine. We are deliberately being non-specific here. Sicily is a land where the production of wine is wide and worldwide-celebrated: just follow your taste, or ask a piece of advice in wineries and cellars. If you chose our Pantelleria villas for your holiday, do not forget that the delicious Zibibbo is produced right here: you really can’t leave the island without at least a bottle of this unique sweet wine! Sicily has an ancient and really original pottery tradition: colors and shapes are particularly vivid and very tipical of this land. 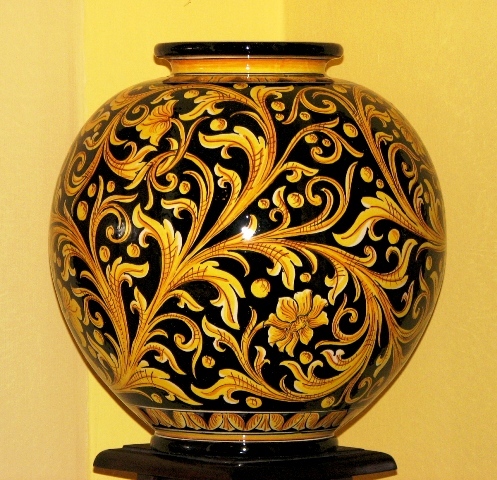 But if we are talking about top-quality, then you should definitely choose the Caltagirone ceramics: the demand for these beautiful pieces of art comes from all over the world, and prices vary a lot – from the most affordable ashtray or decorative object from very expensive and refined vases. The best would be to buy these ceramics right in Caltagirone: you’d be able to discover more about the history of this tradition, and to visit this enchanting town in the countryside of the Catania province, but if you can’t make it there, don’t worry – you’ll find this pottery almost everywhere in Sicily. The “Coppola”, i.e. flat cap, is one of the most well-known symbols of Sicily and “Sicilianity” worldwide: movies, pictures, paintings, books, postcards… references are everywhere, and you’ll see lots of them during your stay. Monochrome, multi-color, embroided, glamourous, old-school… countless varieties and a very wide range of prices, that will suit any need (and wallet!). The best way to spread a little bit of Sicily not only at home, but in your whole hometown! If you are into folkloristic music you probably have already heard both its name and its sound. 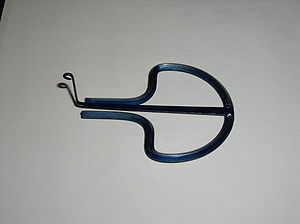 We are talking about the jew’s harp, “Scacciapensieri” in Italian and “Marranzano” in Sicilian dialect, that consists of a flexible tongue made in metal or bamboo and attached to a frame. The tongue is put in the musician’s mouth, who pluckes it with his finger to produce its characteristic sound. This so-called “lamellophone instrument” is said to be one of the oldest musical instruments in the world, and is often used in Sicilian traditional vernacular music: it is so popular that there is even a festival, the Marranzano World Festival, that takes place in Catania every year to celebrate it (check the dates if you are staying in one of our Villas in Catania: you’re going to have a good time!). You’ll find Marranzano of different colors and styles in a wide number of souvenir shops all over Sicily. If you have visited Etna you surely know everything about it: it’s the tallest volcano in Europe, it is still active, it is the reason why Catania is called “the black city”… And so on. And we are sure that the visit to this magnificent mountain left you speechless: panoramas and landscapes are absolutely one of a kind. This is why we recommend you to take home a bit of volcano! There are plenty of little craft shops selling handmade Etna lava stone items of all kinds, shapes and sizes. From necklaces and jewelry to decorative objects and vases, from pots to cosmetics, you’ll have plenty of choice and you’ll find that prices can be very affordable. And now we want to hear about you: what did you take home from your holiday in Sicily?